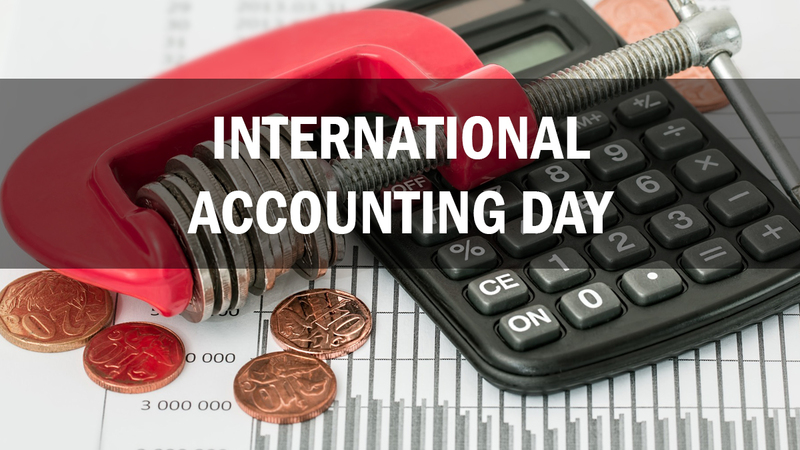 On November 10, International Accounting Day is celebrated around the world, it is also called Accountant's Day. It was the day in 1494 when the book "Everything about arithmetic, geometry and proportions" was published by Luca Pacioli, in one of the chapters of which accounting principles in Venice of that time were set forth. It was the first full-fledged work, where it was told about double-entry bookkeeping, warrant journals and other methods used by accountants to this day. Accountants are those people who are best able to count money and are interested in the most efficient distribution of the company's financial flows. Their tasks are not only to reduce active balance sheet of the company and issue salaries to employees, but also to keep track of bills, charge taxes, and besides, look for opportunities to save the owner’s money and help in achieving the goals of the company. The fundamentals of bookkeeping have changed little since the time of Pacioli, while the tools for the work of an accountant have undergone a greater transformation. Thanks to information technology, bookkeeping is increasingly automated, new accounting programs are emerging, and computer power requirements are increasing. Today, an accountant to work with specialized accounting programs or ERP-enterprise management systems need a high-performance computer that works without breakdowns and interruptions, around the clock and with constant Internet access, protected from theft and unauthorized access. In the office, it is quite difficult to arrange such conditions. But you can choose another way — to keep accounts on a remote server. The accountant runs only the application that does not require large computer capacities, and in a reliable data center, dedicated and resource-critical calculations are performed on a dedicated server. The server is much more productive than a regular PC, which means there is no waiting time because of the downtime while the accounting program "hangs". The infrastructure of the data center is stable and reliable, protected from power outages (many accounting programs do not withstand a sudden power outage and lose data). Internet access round the clock, you can work on a business trip in different time zones or at night from home. Confidentiality of information is provided by an encrypted data channel. A special security system and access to the data center excludes theft and access by third parties. Backup and long-term storage of all information. No need to buy and maintain your own servers. When you need more performance — just rent a more powerful server from the provider. Do not have to write off from the balance and dispose of the old hardware. The provider is responsible for replacing the failed server components. Host-telecom.com has its own stock of spare parts, as well as round-the-clock monitoring of the "suspicious behavior" of servers. OS licenses for the server can also be rented in the data center, in case the accounting software requires some specific operating system. The user can have any operating system installed on the computer, including a freeware one. Some programs require the installation of a physical security key in the server — Host-telecom.com provides such an opportunity for leased physical servers. We see only one minus: server rental fee. However, accountants have already figured everything out and understood how much more economical it is to rent a server in a data center than to invest in creating its own infrastructure. And we sincerely congratulate all accountants on their professional holiday!